Recent years have witnessed large interannual variation of all-India rainfall (AIR) in June, with intermittent large deficits and excesses. Variability of June AIR is found to have the strongest link with variation of rainfall over northwest tropical Pacific (NWTP), with AIR deficit (excess) associated with enhancement (suppression) of NWTP rainfall. This association is investigated using high-resolution Meteorological Research Institute model which shows high skill in simulating important features of Asian summer monsoon, its variability and the inverse relationship between NWTP rainfall and AIR. 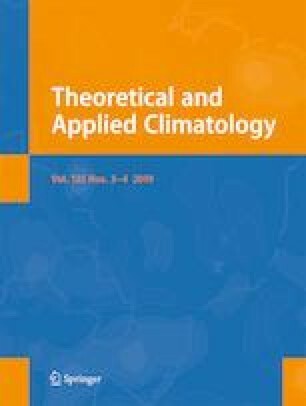 Analysis of the variation of NWTP rainfall shows that it is associated with a change in the latitudinal position of subtropical westerly jet over the region stretching from West of Tibetan Plateau (WTP) to NWTP and the phase of Rossby wave steered in it with centres over NWTP and WTP. In years with large rainfall excess/deficit, the strong link between AIR and NWTP rainfall exists through differences in Rossby wave phase steered in the jet. The positive phase of the WTP-NWTP pattern, with troughs over WTP and west of NWTP, tends to be associated with increased rainfall over NWTP and decreased AIR. This scenario is reversed in the opposite phase. Thus, the teleconnection between NWTP rainfall and AIR is a manifestation of the difference in the phase of Rossby wave between excess and deficit years, with centres over WTP and NWTP. This brings out the importance of prediction of phase of Rossby waves over WTP and NWTP in advance, for prediction of June rainfall over India. This study received financial support from the Grant-in-aid project, NCAP of MoEFCC (GAP-1009), and the Multi-Scale Modeling Program of CSIR 4PI. The MRI-AGCM3.2 simulations were made by the Earth Simulator of JAMSTEC, under the SOUSEI Program funded by MEXT, Japan.